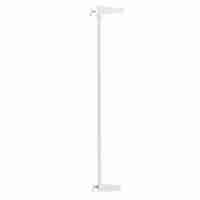 Venture Q-Fix safety gate extensions extend the size of our extra tall Venture Q-Fix Safety Gate by a further 7cm. Extensions can be combined to increase the size even further when required. 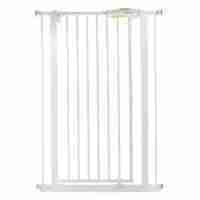 Fill larger gaps and opening by combining the Venture Q-Fix Extra Tall Safety Gate with our wide range of extensions! 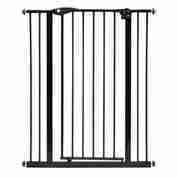 This extension can be easily pushed into the existing frame of the safety gate, giving you an extra 7cm in width. 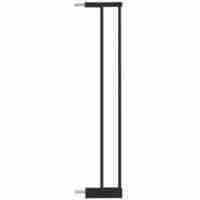 And if that’s not wide enough you can combine it with another 7cm or 14cm extension in the same way! 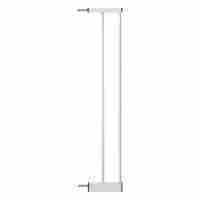 All Venture Q-Fix safety gate extensions are composed of a sturdy steel construction meaning that once fitted securely, they remain firmly in place regardless of day to day wear and tear, ensuring a solid, secure and safe fitting everytime.